Legal experts have expressed optimism that there was virtually no chance of Chief Justice of India Dipak Misra not following the established norms and recommending the name of the senior most judge, Justice Ranjan Gogoi, as his successor. The speculation as to who will be the next Chief Justice of India has arisen in the backdrop of Justice Gogoi's participation in the unprecedented January 12 presser led by former judge Justice J Chelameswar. The views of legal experts assume significance as a debate has begun after the recent statement of Law Minister Ravi Shankar Prasad that the government has no role in the selection of Justice Misra's successor, which naturally boils down to Justice Gogoi. Chief Justice Misra demits office on October 2. Constitutional law expert and senior advocate Rajeev Dhavan referred to the unblemished judicial records of Justice Gogoi and said if he is not recommended for the post of the CJI, then it would amount to supersession as had happened in the 1970s. Such an event would compromise the independence of judiciary which the CJI will never want, he said. Senior advocate and Supreme Court Bar Association (SCBA) President Vikas Singh said though the supersession of Justice Gogoi was not possible, but if that happened, then all the three senior judges (Justices Gogoi, M B Lokur and Kurian Joseph) will have to put in their papers. "This scenario (CJI not recommending Justice Gogoi's name as his successor) is not possible and it will not be done," Singh said. 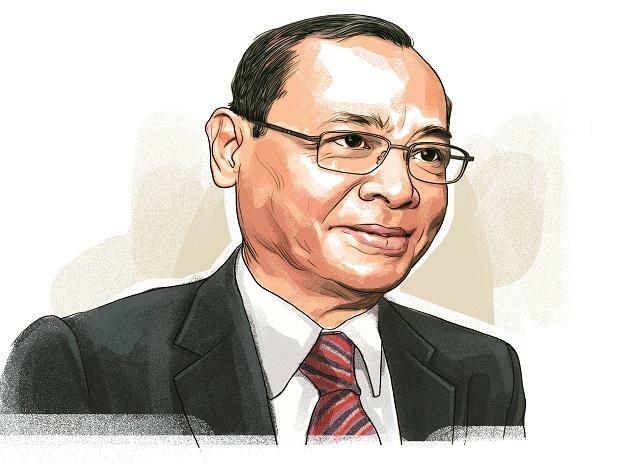 To a question as to what will happen if the CJI does not follow the established norm of recommending the senior most as his successor, he said "there will be a problem and in that case, Justice A K Sikri, who has good relations with the CJI, may be recommended. "In that case, the three judges (Justices Gogoi, M B Lokur and Kurian Joseph) will have to resign, which looks a remote possibility." Dhavan referred to the recent unequivocal statement of the Law Minister that the government had no role in choosing the successor of the incumbent CJI and said the chances of any such supersession was the remotest. "The only thing CJI Misra may not like is that the (press) conference of the four judges on January 12. If that is so, then one judge has retired. Justices M B Lokur and Kurian Joseph were also part of the conference and unless there is a ruse to appoint Justice A K Sikri, who is close to the CJI, there is no reason for Justice Gogoi not to be appointed. "Other than some conspiracy, I hope that is not so and will not happen," he said. On being asked about the consequences of any move to deny the CJI's post to Justice Gogoi, Dhavan said "the consequences are bizarre. It will lead to supersession of the kind in 1970s. Such supersession will affect the independence of judiciary. The CJI will not become the tool for such supersession, I hope so." During 1970s, the then central government had superseded the senior most judges and appointed Justice A N Ray as the CJI in 1973, leading to resignations by Justices J M Shelat, K S Hegde and A N Grover. Later, Justice H R Khanna was superseded and Justice M H Beg became the CJI, which had led the former to quit. Dhavan said there was nothing in the judicial records against Justice Gogoi which should prevent the CJI from not recommending his name for the post of the CJI and "his record has been brilliant and above suspicion in every respect". He said that the government has already made its point clear that it will exclusively rely on the CJI's recommendation. The SCBA President also echoed the views of Dhavan and said it will be in favour of the government if there was a "committed" judiciary. "This government does not want an independent CJI but it will not overrule CJI Misra...If the CJI does not want the next senior Justice Gogoi...then there will be the supersession and no CJI will want this," Dhavan said. Referring to the prevailing practices, he said now that the CJI has taken both "political and a constitutional responsibilities" of appointing judges under the Collegium system, "he should exercise that fairly and fiercely". Singh said that though there was no chance of Justice Gogoi not being recommended for the CJI's post, the moves of the present government are very "unpredictable" and such a possibility cannot be ruled out altogether. After the introduction of the Collegium system of judges appointing judges following 9-judge bench verdicts of 1993 and 1998, it has been the tradition in the apex court that the CJI recommends the senior most judge as his successor to the government. The incumbent CJI usually sends the recommendation a month before his retirement.